Today is a sunday love a bit different because I won't talk about a beauty product. Oh well, it is an inner beauty product if I may say. I'm talking about the smoothie. I know we're in the middle of the winter, but I can guaranty you that you can have a smoothie even during winter time. I usually drink two types of smoothies. The first one is the sweet one. So I mow frozen berries, with half of a frozen banana, 1:3 of water and a 1/2 spoon of Wheat powder, plus a tea spoon of Lemon juice. This smoothie is perfect for lunch time when you know in advance that you won't have the time to eat correctly. I usually do them 3 times a week. The second one is a green smoothies with frozen spinach and frozen zucchini's, with 1/3 of tomato/carrot juice and 1/3 of water and a spoon of peanut butter. I know it sounds weird, but it is the perfect light evening meal knowing that you have everything you need. On the day I'm taking these I make sure I have some proteins for lunch. It's not a diet for me it is more like a beauty regime, knowing that my skins feels better and that I tend to reduce the oily appearance. Pay attention to not have 2 smoothies a day, because your stomach will then have much more problems to process solid food. 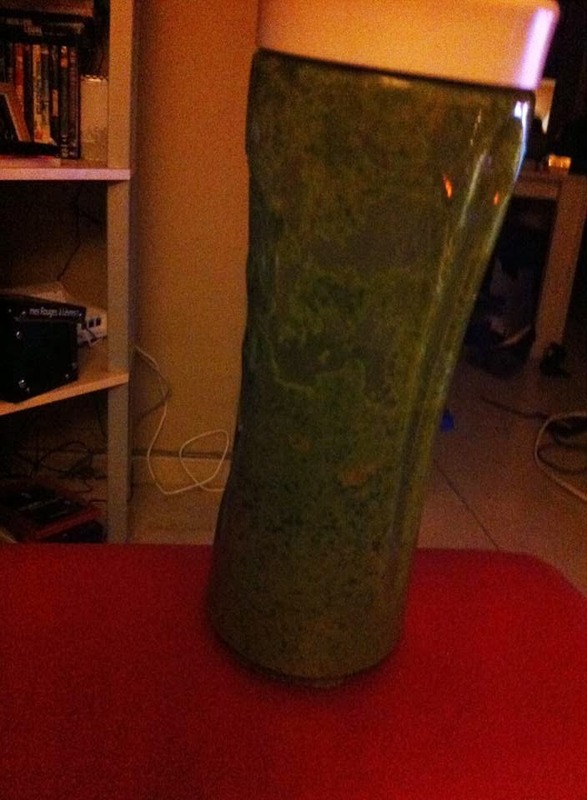 The smoothies are a good way to take greens in your meals and it is really yummy. Regarding the Wheat protein powder, be careful and use only the lean protein if you intend to lose weight. Don't take those for body builders. I only take Half a spoon because, my intestins aren't ok to have a full spoon, so I reduced it to make it more healthy for me.